Who doesn't love a delicious Frittata! 3. Put oil in a pan and add the onion (cut in small pieces) for 5 minutes. 4. Add the potato and the zucchini (cut in julienne) for 2 more minutes, then add in the corn. 5. Put 3 eggs in a bowl with salt and pepper and mix, add the egg mixture to the pan. 7. 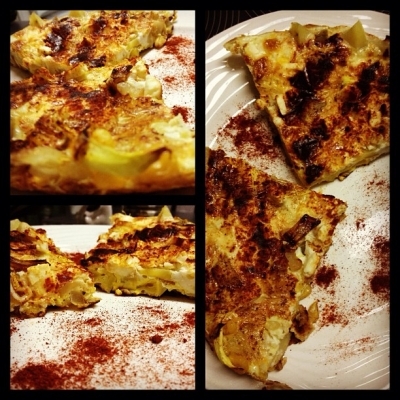 When the frittata looks cooked (the egg) put the paprika and feta on top and put to grill 5 minutes in the oven.